Another year’s rolled by, and your pet’s gotten just a little bit older. For pet parents who want to make this day an exciting one, we listed a few things you can do to make your pet feel extra special on their big day. A birthday party with drool-worthy food never goes out of style. 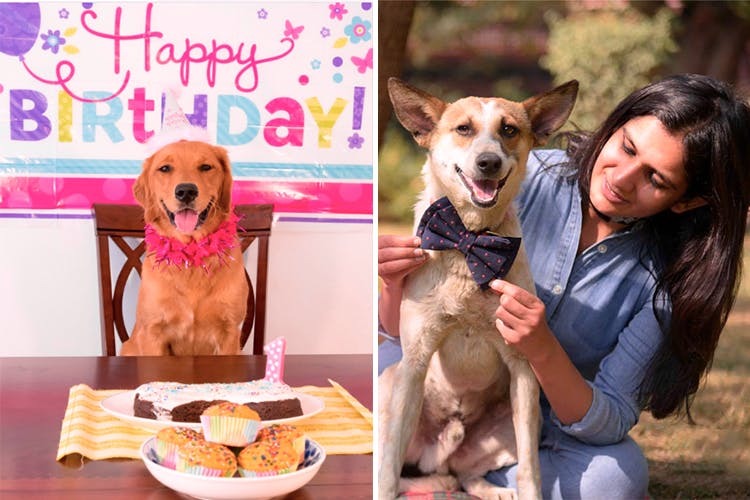 Everyone should have cake on their birthday, including your pet. Order a lovely cake from a dog Barkery or a tower of ‘pup’cakes made with pet-friendly ingredients. Have your pet’s best friends over and go all out with the celebrations. If you don’t have enough space at home, host the party at a park, or rent out an outdoor space for a day. You could also stock up on some special dog biscuits or treats that your pet and their friends can munch on. Even your pet needs a change of scene every now and then. And, if your pet loves road trips, the best way to treat them is to take them on a lovely petcation! There are a lot of dog-friendly hotels and homestays around NCR that you could both unwind at. There are also plenty of travel accessories, including doggie seatbelts, to equip you to do it. Travelling has just what your pets love – plenty of new trails to explore. What better way to say ‘you are special’ than a full day of pampering? Start off with a romp in the park, followed by a special breakfast for your pupper. Treat your pet to a shopping spree at their favourite pet store, pick up some new toys and finish up with a lovely birthday party. Do you have a water baby on your hands? Then the best birthday surprise is time at the pool. Get some fun pool toys and let your pet loose at the closest pool. If you don’t have access to a swimming pool for dogs, you could also buy an inflatable pool and set it up in your garden, or on your roof. Pet spas offer more than just baths – speak to your groomer about getting your pet a relaxing massage. Grooming that removes shed hair and leaves your pet’s skin and coat feeling light and cool make your pet feel more comfortable. After all, it is their special day, and they deserve some pampering.